“Prepare yourself over the next 2 years.” I had no idea what that meant. Over the last 2 years I’ve spent a lot of time on inner healing, forgiveness, self development and consecration. Even my physical body has undergone some much needed changes. I even began to write again after a long hard season. Honestly, I don’t know if I’ve done everything God wanted me to do, but I hope He is pleased. So I have such expectancy, such hope, such anticipation of what is coming this year. Friends, we are truly in a NEW Season. It’s time to get your hopes up, it’s time to Dream again. For years you have been obedient, waiting for your promises. 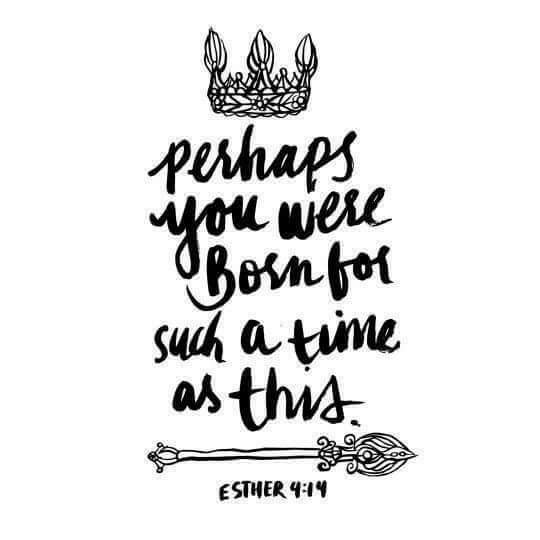 Be blessed friends, for you WE’RE Born for such a time as this!